If you were one of the many couples lucky enough to get engaged over the Valentine’s Day weekend - or anytime this winter, really – let us first wish you a hearty congratulations! Then, let us share some things you need to know about if you’re looking for a fabulous wedding venue located in Morgan County! This former Methodist Church building is now home to more than a dozen working artists and gallery exhibit space, but they also host a large number of weddings each year! The sanctuary is (of course) perfectly suited to hosting a ceremony but the outdoor butterfly garden has also been used for exchanging vows during the warmer months. 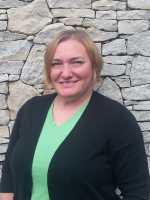 The 2,800 square foot facility can accommodate gatherings for up to 175 guests, and they have an ordained minister to perform your ceremony on staff, if needed. Recently voted a top venue in the Indianapolis area, Jones Crossing is equipped to host weddings and other events for up to 400! This family-owned, full service venue is committed to hosting only one even per day, guaranteeing that yours will be their top priority. Truly a one-stop shop, Jones Crossing also offers catering, DJ service, bar services, cakes, audio/visual services and more. 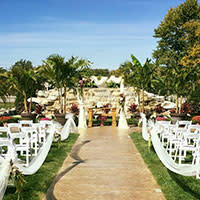 In addition, they have a live waterfall on site – a perfect backdrop to your warm weather wedding. 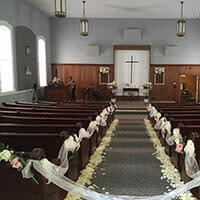 This charming 1871 chapel in the heart of historic Morgantown can host your entire event at a single site – guests don’t even have to step outside to move from the chapel to the reception hall! The chapel’s original mahogany pews, chandeliers and gorgeous European stained glass windows create a beautiful setting for your special day. 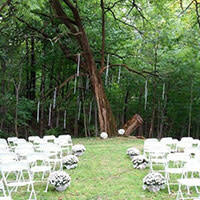 Specially appointed rooms are set aside for the bridal party (and one for the groomsmen) for your convenience. For those looking for a truly unique and beautifully romantic setting, Willowfield Lavender Farm hosts a limited number of weddings each year from May through October. The family-owned working lavender farm makes for an incredible backdrop to your special day, especially when the lavender is in full bloom! Several areas on the farm are suitable for the ceremony – the gazebo in the lavender field, the wisteria trellis, the "wedding tree" in the woods or the pergola in the garden – and the rehearsal dinner and/or reception can be held on site as well. If you’re planning a rustic or outdoorsy wedding event, you might want to consider Grandpa Jeff’s Trail Rides as a venue. Located just south of Morgantown, this working horse farm is a naturally beautiful setting. 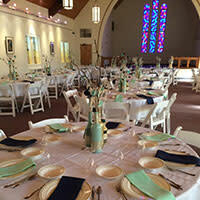 They can accommodate groups of all sizes and work with you on all the details. Hayrides, bonfires, even a real chuckwagon are available to make your day special. If you’re planning a DIY kind of wedding, I’ve seen some absolutely amazing photographs of both outdoor ceremonies and rustic receptions held in the great outdoors at Morgan-Monroe State Forest. The picnic shelters provide a great place to start – there are shelters located at Cherry Lake, Bryant Creek Lake and the junction of Forest Road and Beanblossom Road. There’s no charge to use the shelters, but you may need to send out advanced scouts on the day of your ceremony – reservations are unfortunately not accepted. 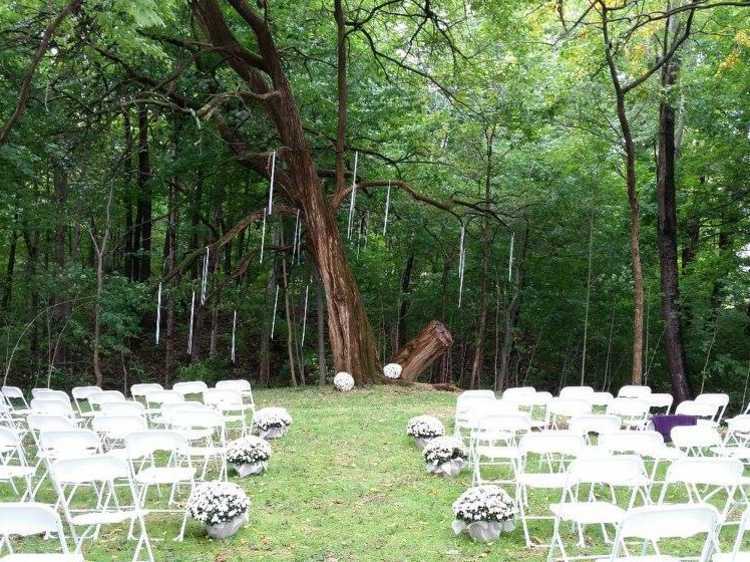 Don’t count out other area parks for outdoor event locations as well – Pioneer Park, Jimmy Nash City Park and the still-under-construction Old Town Waverly Park have beautiful settings that could be utilized for either ceremonies or casual receptions. Be sure to share photos of your big day in Morgan County by using the hashtag #thisismorganco on Facebook, Twitter or Instagram!